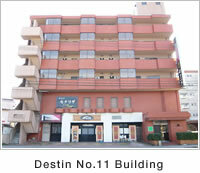 Destin:The No.1 share in Sakaki in japan! 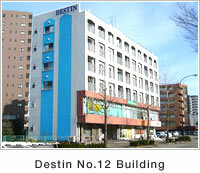 Destin is specialized in the sale of sakaki, and commands the top share of the Japanese sakaki market in volume. To continue to meet demand from our customers for attractive, long-lasting sakaki, our product is harvested immediately before sale, and maintained under a quality-control stance that our competitors cannot match. We have earned high marks from our customers for our unique system that enables us to ship the exact amount needed at the exact time it is needed. We install the latest equipment, such as automatically displaying the name of an incoming customer call on the PC monitor when the telephone rings, further streamlining customer service. Our computerized system also lets us keep realtime tabs on shipment status and the location of shipments in progress, saving our customers time and trouble. Our policy is to always put the customer first. Our commitment to the highest quality and our determination to further improve our service translates to customer satisfaction. We handle a variety of foodstuffs, including canned chestnuts in syrup and frozen gingkos. We also provide a range of food processing services to meet diverse customer needs. 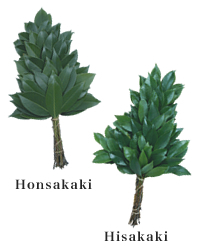 We handle the full range of leaves used for packaging special traditional food products sold throughout Japan, providing lengths, sizes and special cuts to match customer needs. To further stabilize the corporate financial state we also lease out properties owned by the company. 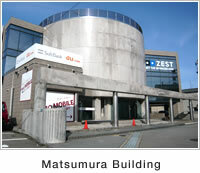 The Destin Matsumura Building, situated close to the Ishikawa Prefectural Government Offices, is a stylish office building, with complete underground packing facilities and all-granite finish. All of our buildings offer excellent residential environments and easy access, contributing to their popularity.